The Edmonton Oilers have named Connor McDavid as team captain, making him the youngest captain in the history of the National Hockey League. The number one draft pick of the 2015 NHL Entry Draft had 48 points in 45 games as a rookie, despite missing more than two months with a broken collarbone. The 19-year-old is the 15th captain in franchise history and the first under new head coach Todd McLellan, with the Oilers going without one last season. The team’s last captain was Andrew Ference, who relinquished the captaincy ahead of the 2015-2016 season after a hip injury limited his playing time. McDavid is younger than Gabriel Landeskog, the Colorado Avalanche captain. He was 19 years and 286 days old when named captain, while McDavid is 19 years and 266 days old. He previously served as the captain of Team North America at the 2016 World Cup of Hockey, plus he was a captain in the Ontario Hockey League. 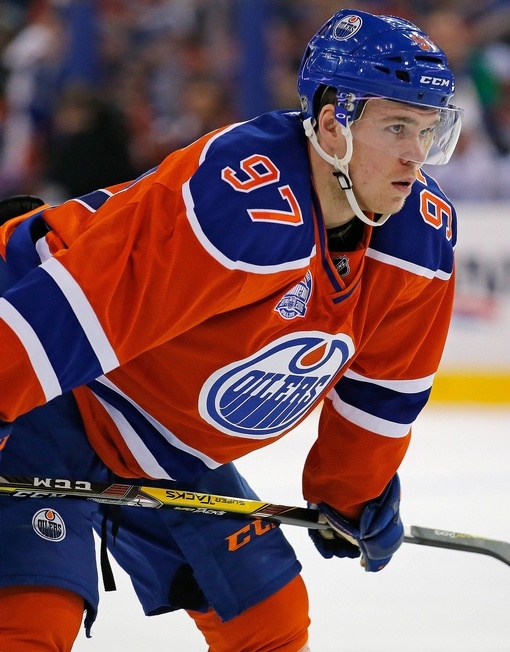 McDavid joins a long list of legendary names and will look to put his name among them. The storied history of Oilers captaincy began in 1979 when Ron Chipperfield, who skated with the club in the World Hockey Association. Edmonton traded the centre to Quebec in 1980 and the Brandon native left the league shortly after, but he’ll always have a place in the history books. After Blair MacDonald and Lee Fogolin, Wayne Gretzky was named the captain of the Oilers ahead of the 1983-1984 season and led the team to four Stanley Cups in the five seasons he wore the C.
Other names on the list include Mark Messier, Kevin Lowe and Craig MacTavish. The longest-serving captain was Jason Smith, who led the team to the Stanley Cup Final in 2006 and served from 2001 to 2007. “I’m very humbled and honoured,” McDavid said. Edmonton named Milan Lucic, Jordan Eberle and Ryan Nugent-Hopkins as alternate captains.